Has your smile been affected by cavities? If you are concerned about pain and sensitivity, it’s important to visit your dentist for a general check-up. A general dentistry check-up can address the presence of cavities and take preventative action to avoid further damage. If you already have holes from cavities, dental fillings are a great solution for you. Tooth fillings are a fantastic option to restore the appearance and strength of your smile. Our professional dentists can offer a range of dental fillings to suit you. Tooth fillings are made from a range of materials that help to restore fillings and protect the mouth from further decay. The team at Comfy Dental offers two types of natural-looking white fillings to restore the strength and appearance of your teeth. We offer both composite fillings and porcelain fillings to meet your needs. These natural-looking tooth fillings can be used to restore a range of anterior and posterior teeth. This type of filling is made from acrylic and a composite of other glass-like materials. Composite dental fillings are aesthetically pleasing and can perfectly match your existing tooth colour. Unlike composite fillings, our porcelain dental fillings are made to be stronger and last longer in the mouth. 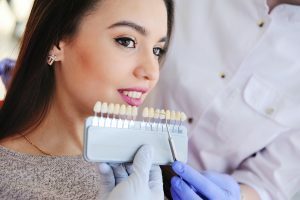 For this reason, these fillings are usually placed in back teeth to provide superior aesthetics, strength and longevity. Porcelain dental fillings are fabricated in a factory and bonded into position at our Mandurah dentist. 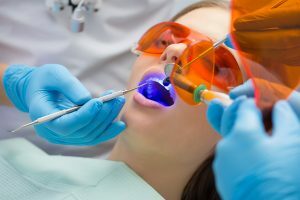 As well as tooth coloured dental fillings, there may be other fillings available, such as amalgam fillings. At Comfy Dental, we will discuss the best tooth restoration options with you in order to achieve the best results. The fillings you need may depend on the type of damage, the location of your tooth and a range of other considerations. To book an appointment with Comfy Dental, simply click on the online booking button below or visit our clinic in Mandurah. Alternatively, you can give us a call today on (08) 9582 8687. You can also explore our FAQs for answers to some of the more common questions we have received.